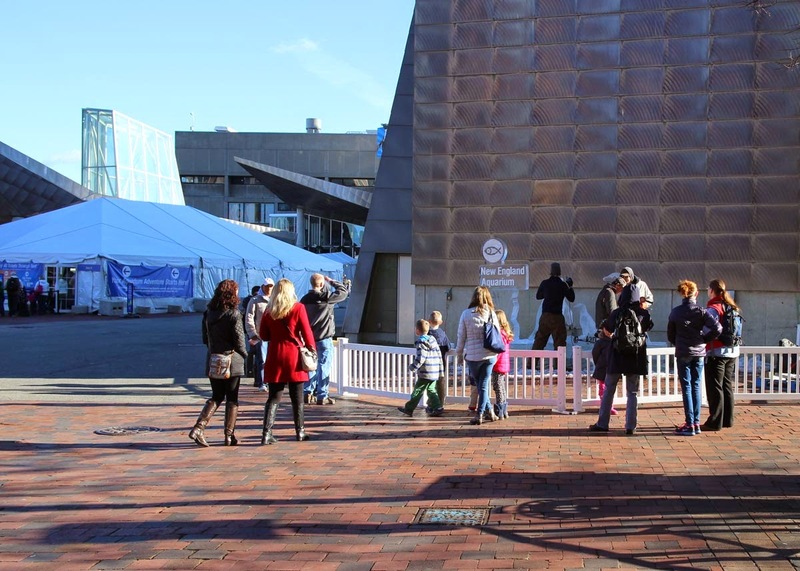 'Tis the season for ice sculptures around Boston—no matter how unseasonably comfortable and sunny it might be outside. At the Aquarium, our ice sculptures take on a decidedly marine theme. 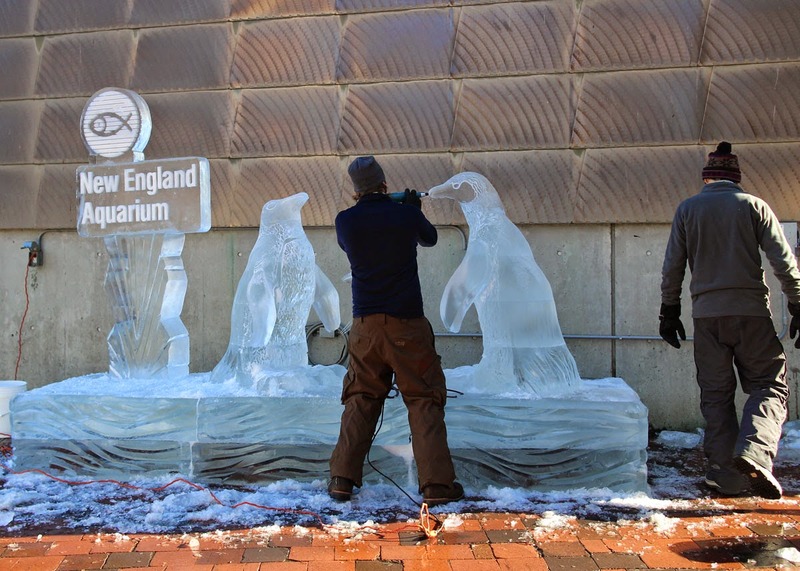 This year’s ice sculpture is of a penguin family—and families visiting the Aquarium this morning got some great looks at the installation of this chilly family. This past summer, the Aquarium’s dedicated penguin biologists successfully raised five penguin chicks. One of those successful parent pairs is an African penguin couple named Dehoop (mom) and Good Hope (dad) that hatched and raised a new chick named Jahleel. Nearly every year, the Aquarium’s talented penguin staff help produce a new batch of penguin chicks to help sustain and grow threatened and endangered penguin populations in North American aquariums and zoos. See the penguin family ice sculpture on the Aquarium’s front plaza for free but come into the Aquarium and see if you can find Jahleel and his parents among the 87 penguins of three different species that make the huge penguin pool their home. The Aquarium is celebrating Penguinology – Explore the Secret World of Penguins, and young visitors get a cool guide with many unusual facts about these beloved birds. 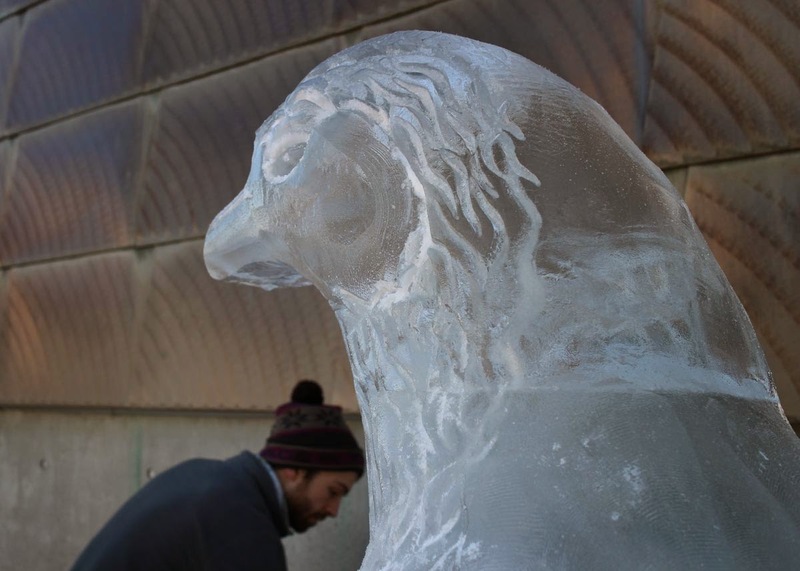 The artist behind this year's family of penguins is Don Chapelle, ice sculptor extraordinaire and one of the principal First Night ice sculptors for many years. 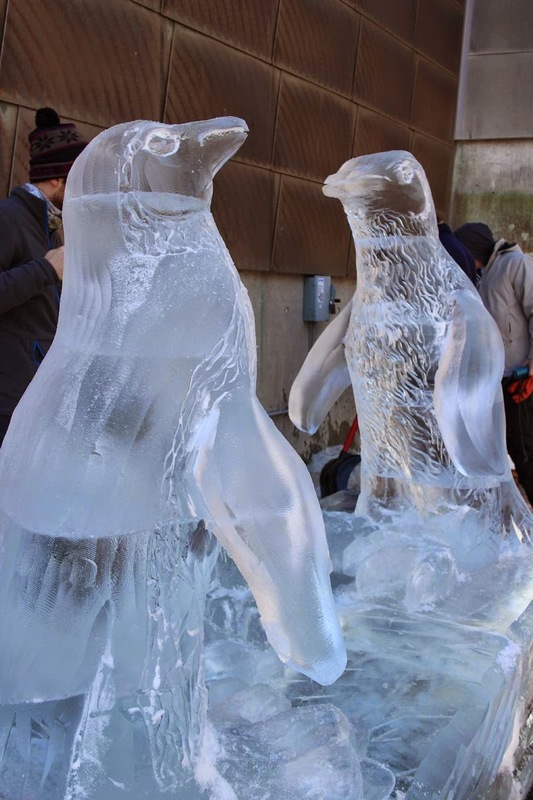 An icy penguin is the perfect way to celebrate winter!